Halifax longshoremen are criticizing Nova Scotia's federal cabinet minister claiming he has failed to support efforts to modernize the Port of Halifax. Halifax longshoremen are criticizing Nova Scotia's federal cabinet minister, claiming he has failed to support efforts to modernize the Port of Halifax. Treasury Board president Scott Brison has defended the Trudeau government's refusal to fund a major expansion at the port, saying the proposal raises multiple issues. Kevin Piper, president of the International Longshoremen's Association Local 269, said his union is perplexed by Brison's position at a time when the federal government has poured $300 million into improvements at rival ports this year. "Those MPs are fighting for their ports, for infrastructure funding, and Mr. Brison seems he is not interested in funding for infrastructure in Halifax and that's baffling to the [union], that truly is," said Piper. That $300 million came from the same national trade corridors fund that rejected an application from the Halifax Port Authority earlier this year. Last week, Brison questioned whether an expansion of Halifax's port would be the best use of land, citing truck traffic in downtown Halifax. 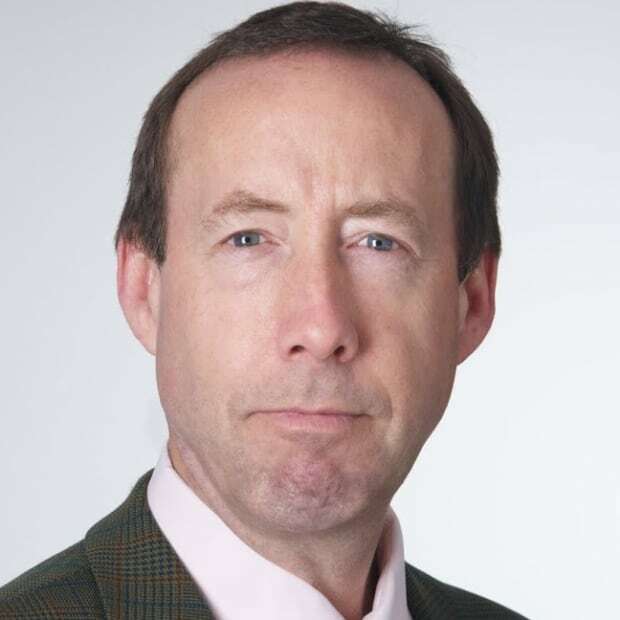 "That is one of the considerations we have to consider in terms … of a community where people want to live and a quality-of-life perspective," said Brison at the time. Piper told CBC News he's not sure what Brison would consider a better use of land than the port. "My question would be, what would Halifax be without a vibrant port?" According to its website, the port creates 12,400 direct and indirect jobs. Wages and salaries resulting from port activity exceeds $500 million a year. 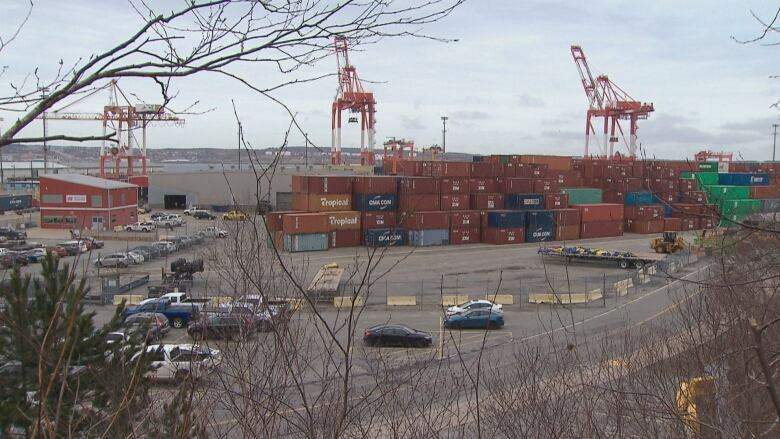 An official in Brison's office has said the rejected Halifax Port Authority application was for a project costing over $500 million and included an inland rail yard and permanent extension of the Halterm terminal to accommodate a second berth for new ultra-class containers ships. Since the rejection, the port authority has announced it will borrow $35 million primarily to pay for a temporary extension of Halterm to ensure the terminal can handle the bigger vessels. Brison said the federal government must take a number of factors into consideration — including "700 trucks going through downtown Halifax every day" — as it looks for the best way to grow port opportunities. "These are areas where the federal government has a broader responsibility than the relatively narrow mandate of the Halifax Port Authority." Brison's office did not comment on the criticism. It did point to a port competitiveness study prepared for the Nova Scotia government and the Atlantic Canada Opportunities Agency in March 2018. The report, by consulting firm CPCS Transcom, highlights some of the challenges facing the "underutilized" port of Halifax and two other proposed container terminals at Melford and Sydney. It says Halifax has not benefited as expected from congestion along the U.S. West Coast or the emergence of routing of Far East cargo through the Suez Canal. Container volumes through Halifax have been increasing over the last couple of years, but the report says over the previous two decades, container volumes were flat and market share was declining. "Nova Scotia ports (Halifax) offer shipping lines crossing the Atlantic a competitive alternative to U.S. East Coast ports if they do not call Montreal … Until a critical mass of gateway cargo volume is achieved, Nova Scotia ports will remain discretionary," the report states. Within Nova Scotia, the report acknowledges Halifax is in a better geographical location than Melford or Sydney but said "greenfield projects offer some significant advantages notably in terms of productivity, environment and land availability." It notes any new terminal development is "risky." The report recommends "supporting incremental improvements to existing facilities (Halifax) so that a Nova Scotia port call continues to be a viable option for shipping lines" but also says the private sector should assume the lion's share of risk for major projects. The consultants say recent growth in Halifax is in part attributable to the reduction in fees for U.S. cargo. "This has been quite successful and demonstrates the potential for increased gateway traffic when costs are reduced."